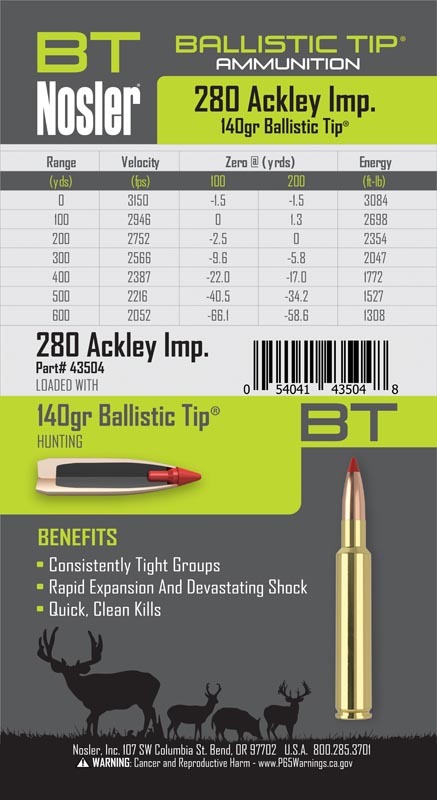 BT (Ballistic Tip) Ammunition - Nosler® Ballistic Tip® ammunition is loaded up front with the accurate and reliable, Nosler® Ballistic Tip® Bullet. 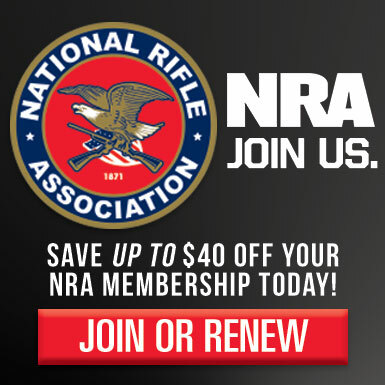 Every bullet weight and muzzle velocity are optimized for maximum effectiveness on Deer, Antelope, and Hogs. Over 30 years of continual improvement, design refinement, and manufacturing expertise make the Ballistic Tip® Hunting Bullet, the best choice for America’s most popular game. Tapered bullet jacket controls expansion for the ideal balance of penetration and energy transfer. Proven track-record of accuracy and game-killing terminal performance.